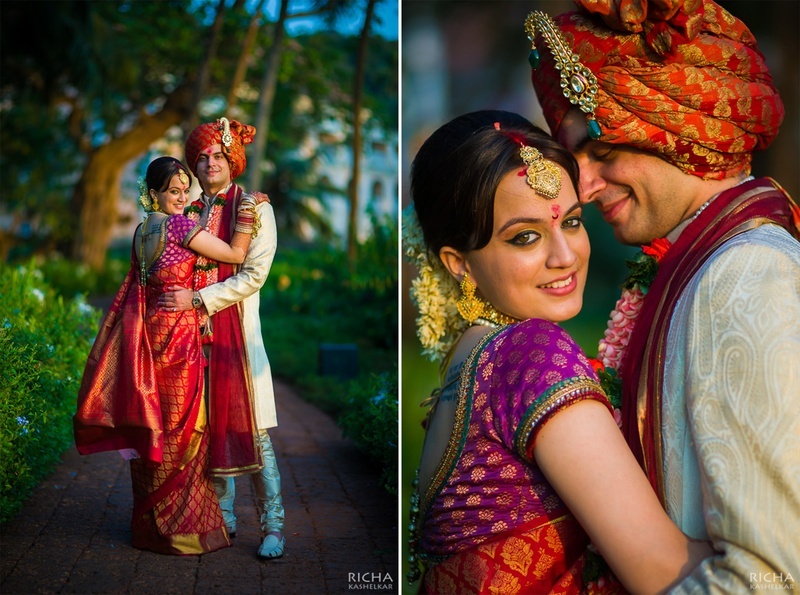 In an age where the belief in love is slowly fading, Sonia and Karan’s sweet story restores our faith in the fact that true love exists. 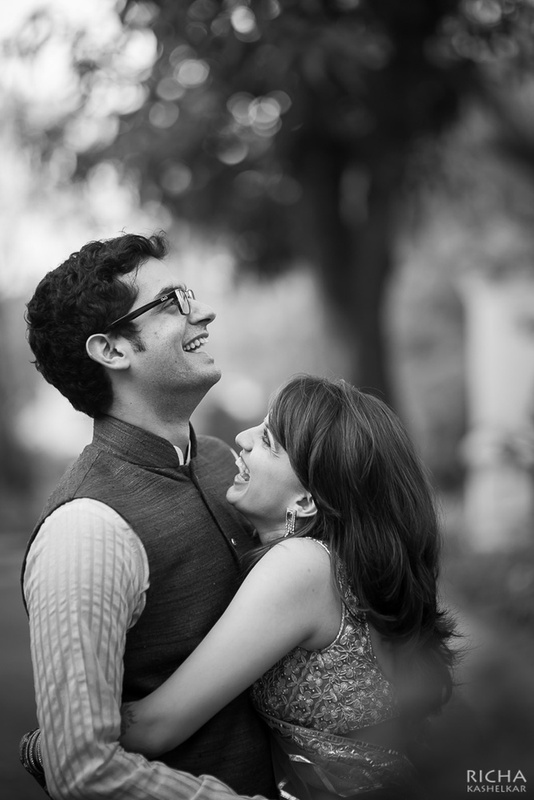 Their story dates back to college when interactions were minimal and conversations were confined to 'hellos' and 'goodbyes'. 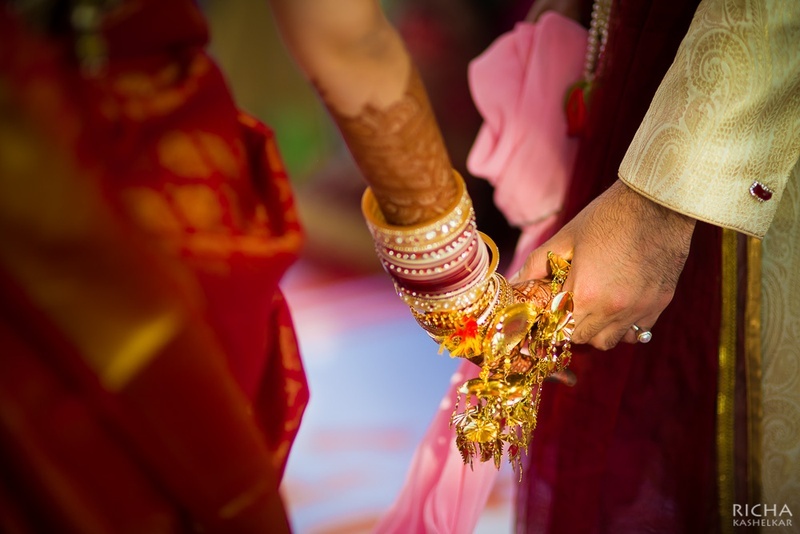 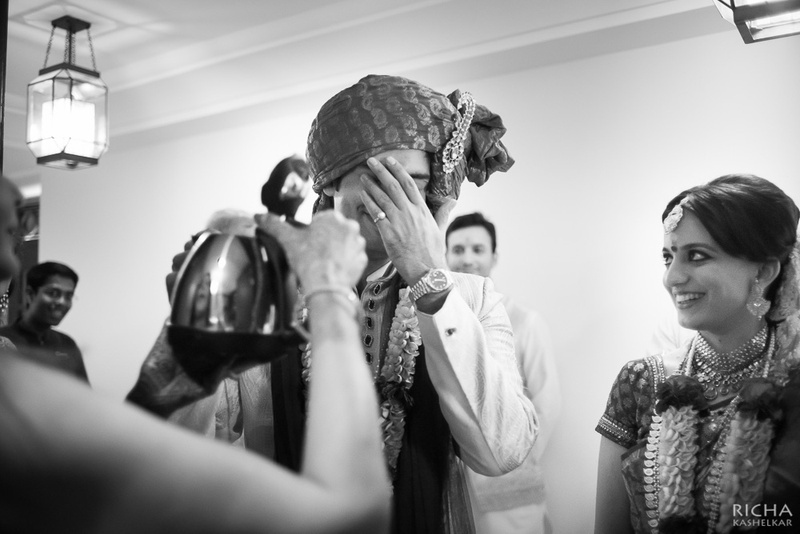 As time passed by, the prospect of marriage started to become more and more real to Sonia and Karan; who lived in different worlds, belonged to two distinct zones, and their interactions were limited to stolen gazes and subtle smiles exchanged in college hallways. 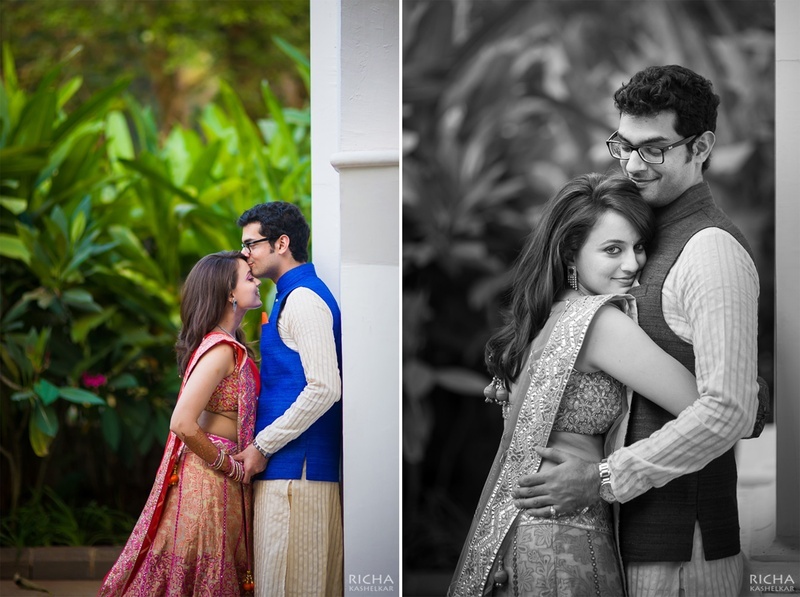 They lived the clichéd “Absence makes the heart grow fonder” in reality. 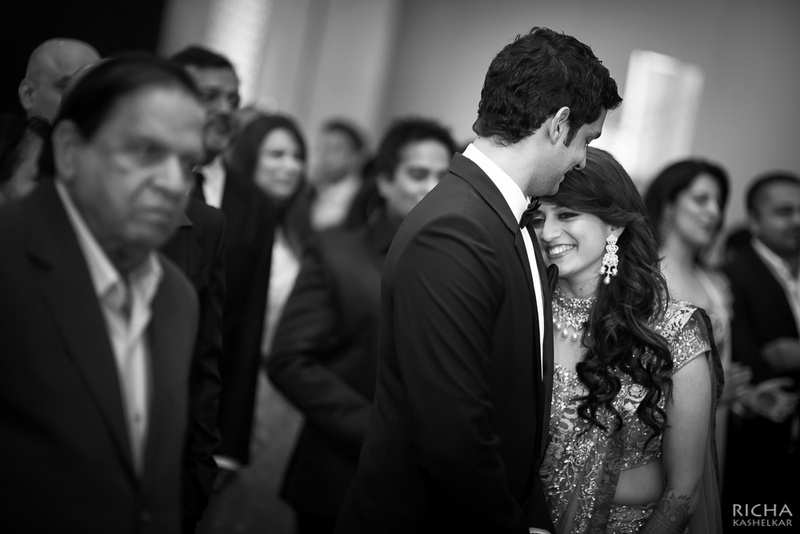 Only when they weren’t together did they realize how much they valued each other. 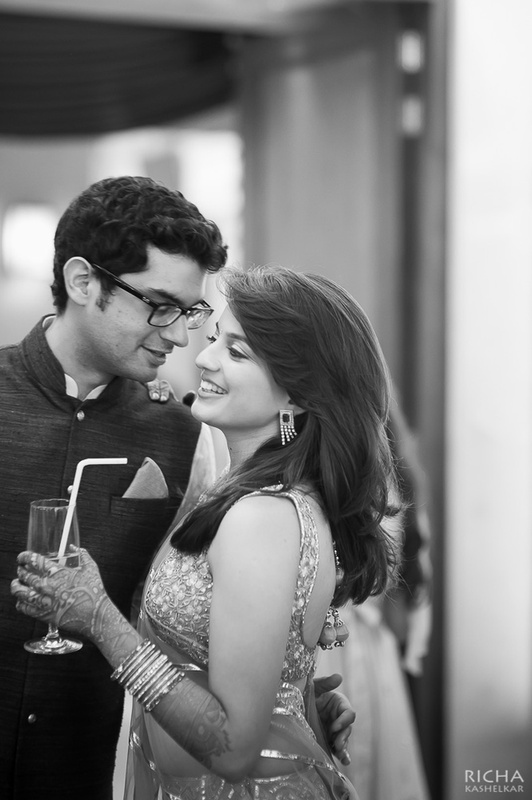 That’s how they began to put in more effort in their friendship, which slowly evolved into two souls becoming one in love. 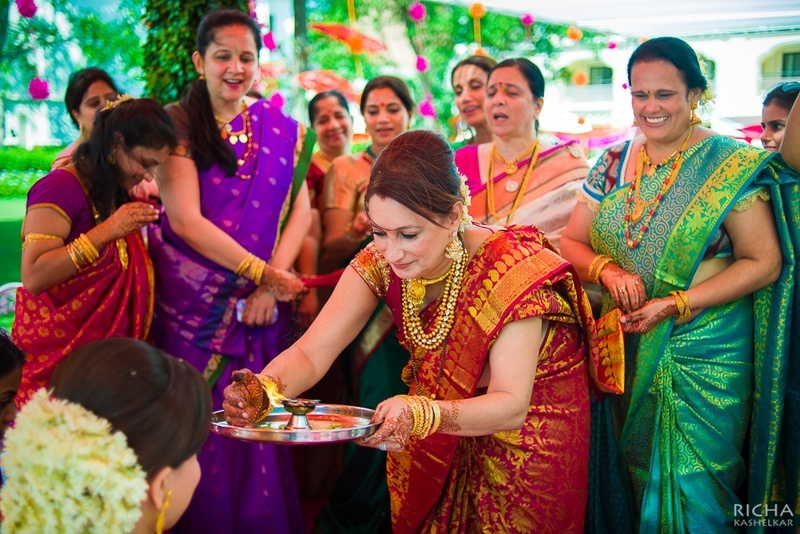 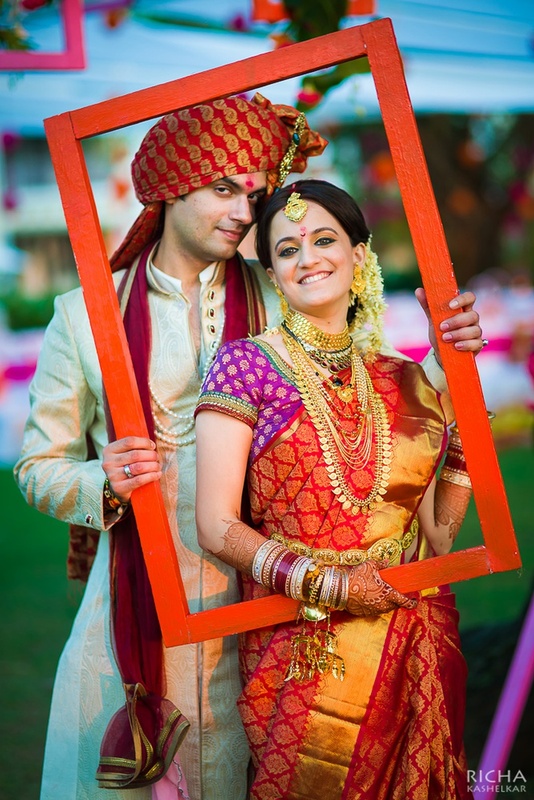 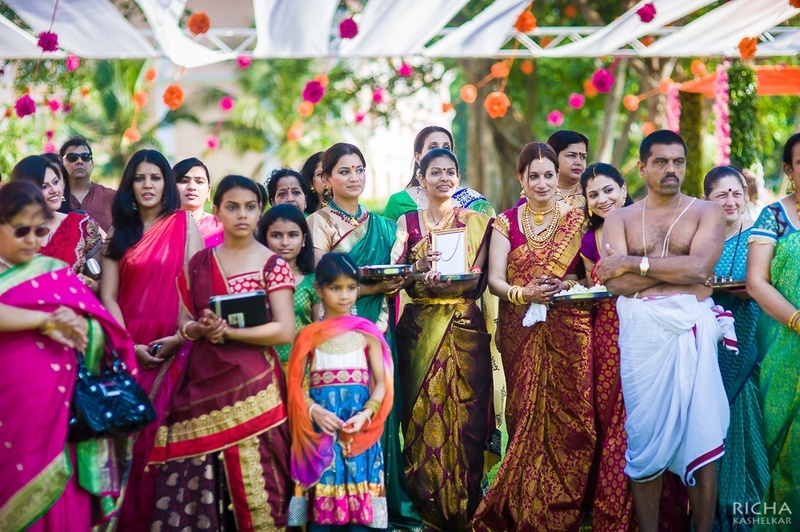 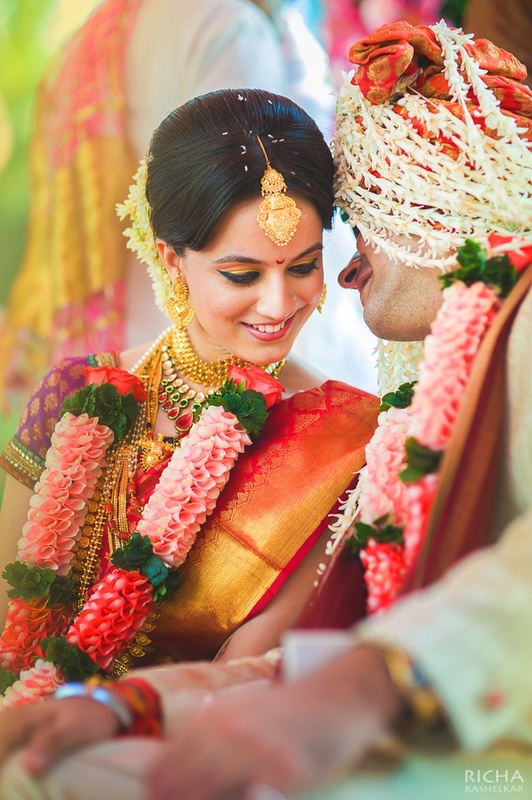 For the wedding, Sonia was dressed in an ethnic red paithani saree with gorgeous gold weaves. 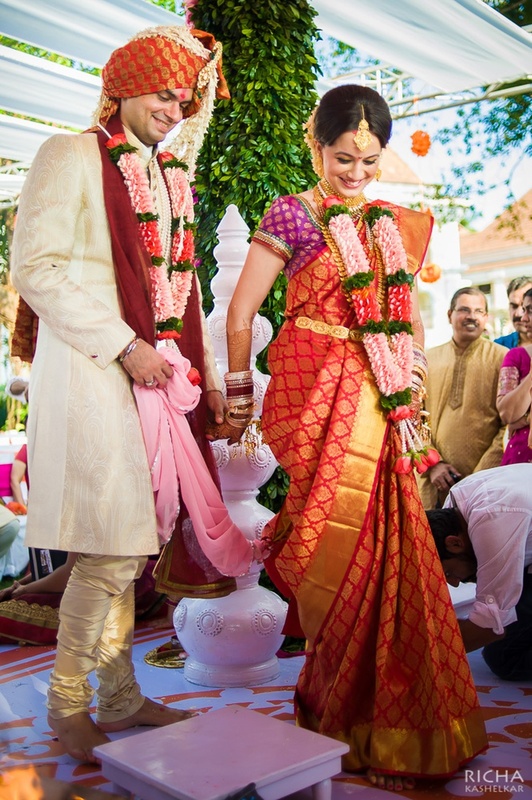 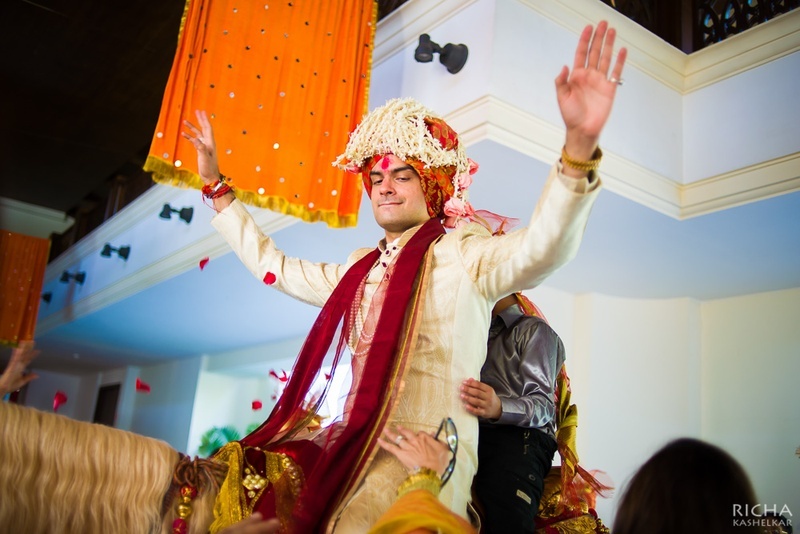 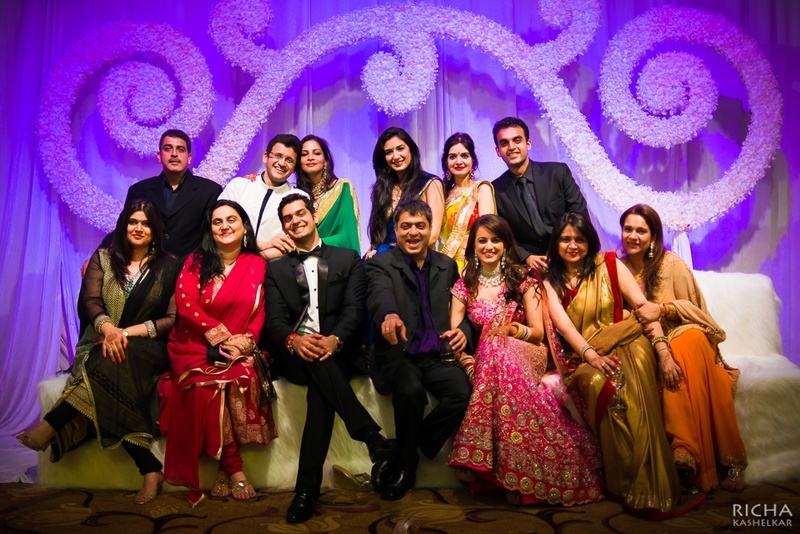 Both Sonia and Karan were escorted to the mandap in the arms of loved ones. 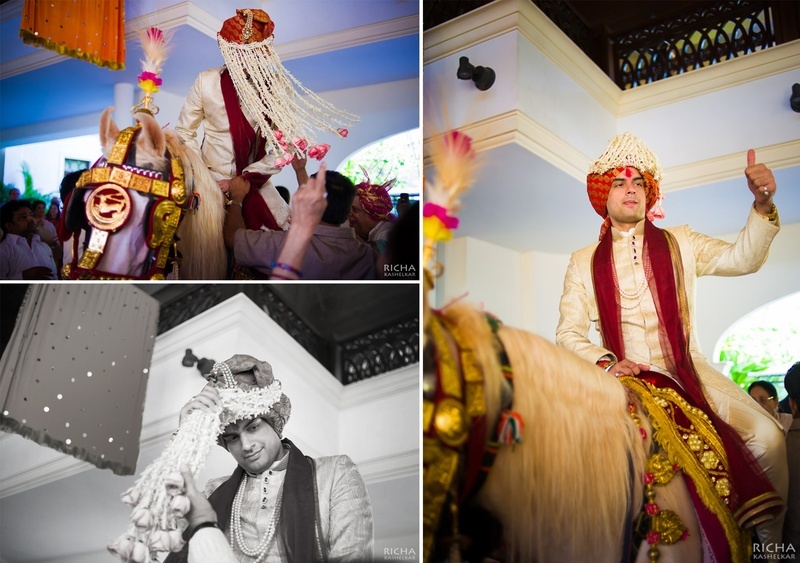 The handsome groom wore a classic, textured cream silk sherwani and red brocade safa complementing his beautiful bride perfectly. 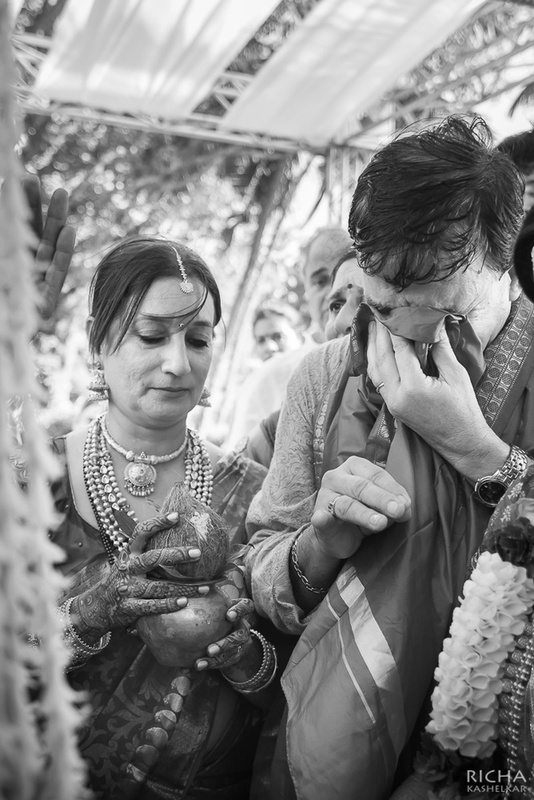 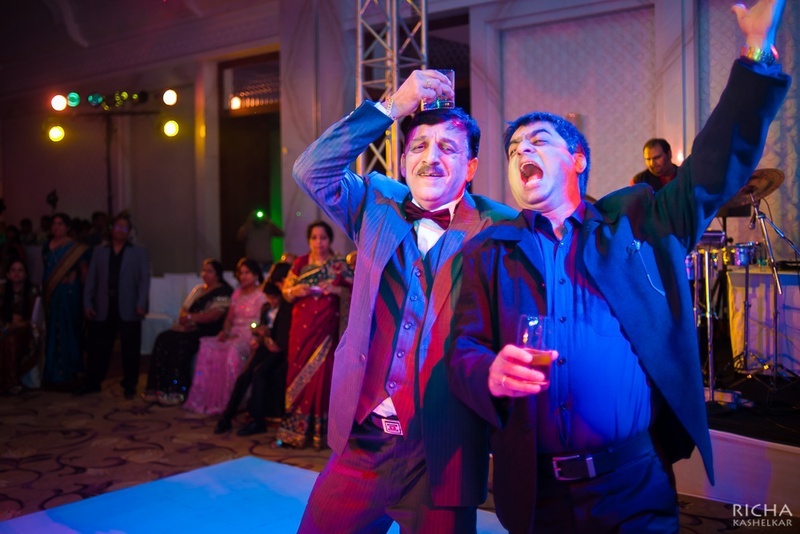 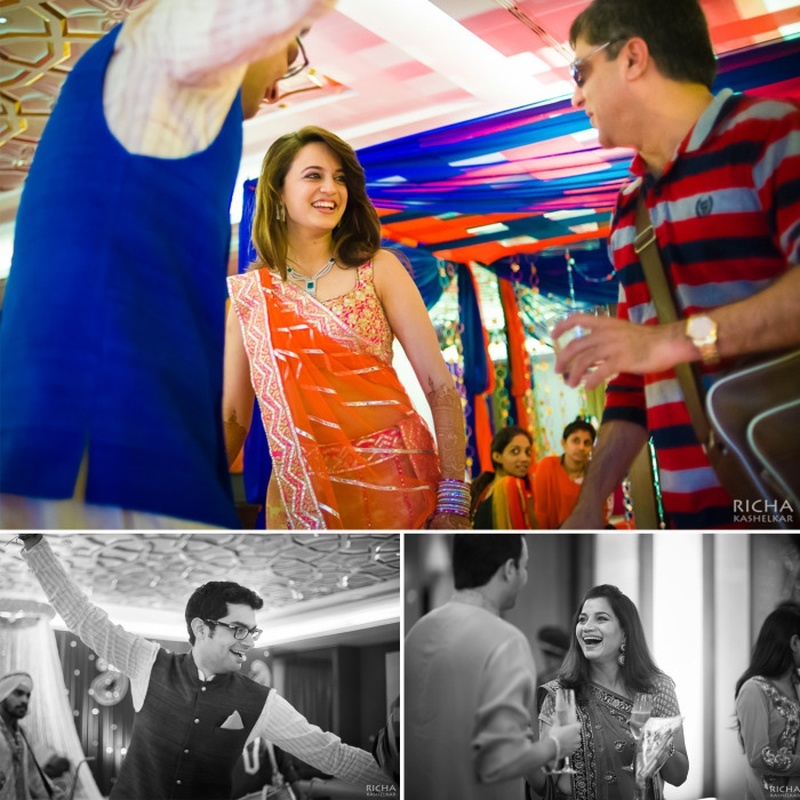 Once things were made official, celebrations continued at the reception ceremony. 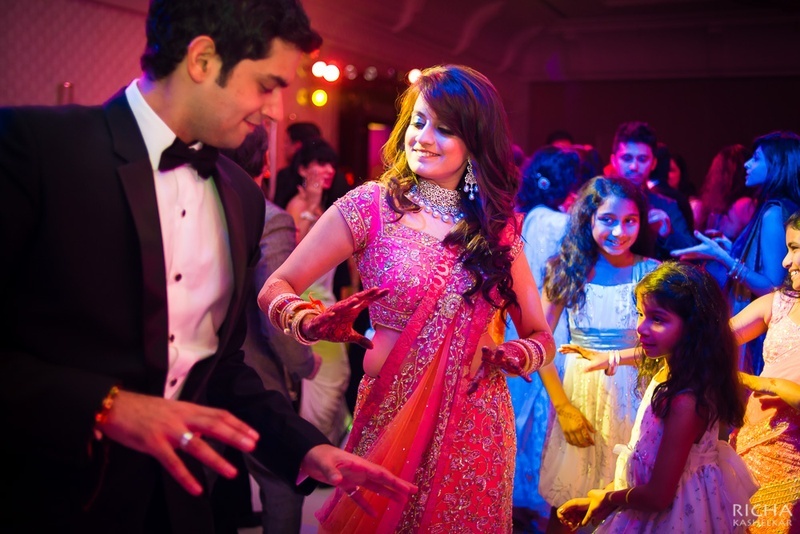 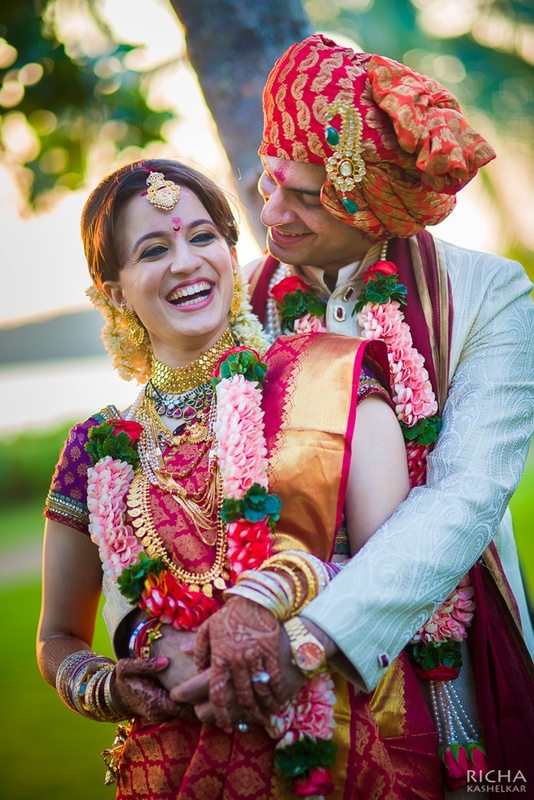 Sonia donned a gorgeous ombre pink and orange lehenga choli that was intricately embellished with silver sequins and crystals. 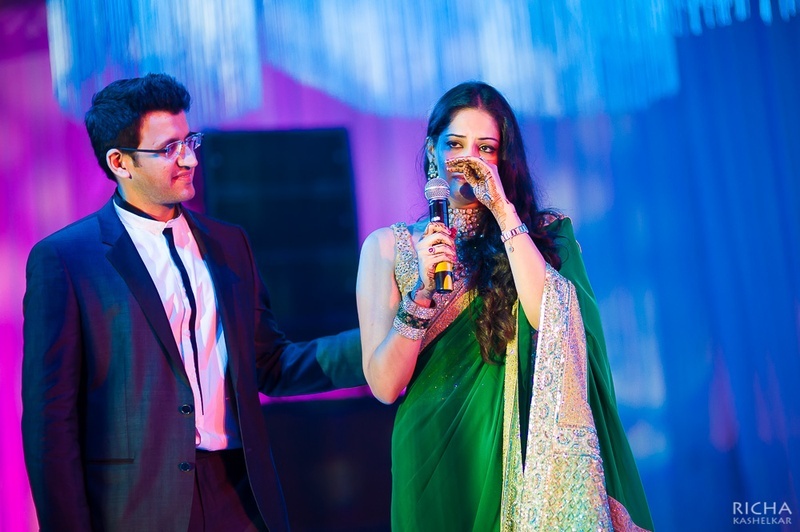 She wore a stunning diamond-studded jewellery set and looked like a modern-day Indian princess! 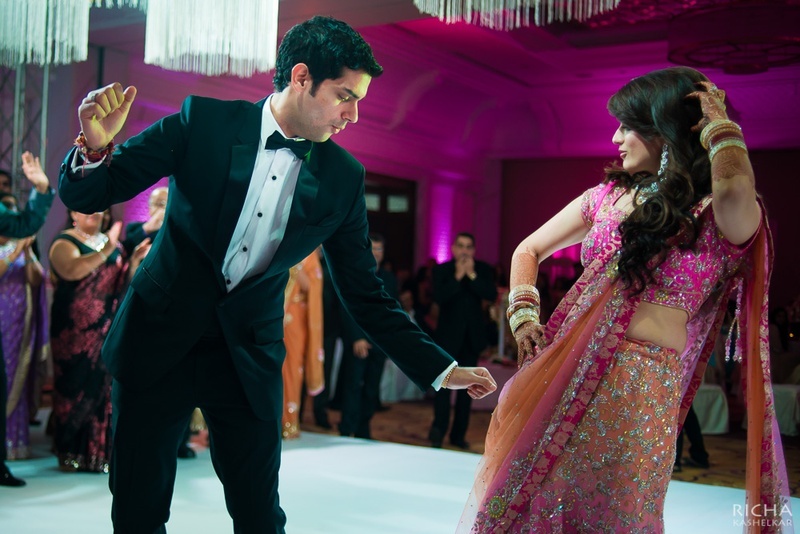 Karan kept it classy, as always, in his carbon black tux paired with a bow-tie. 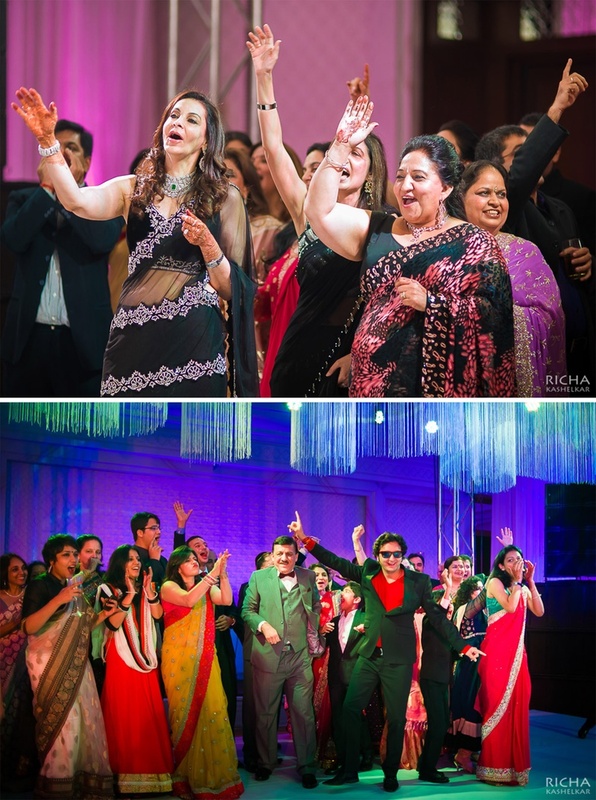 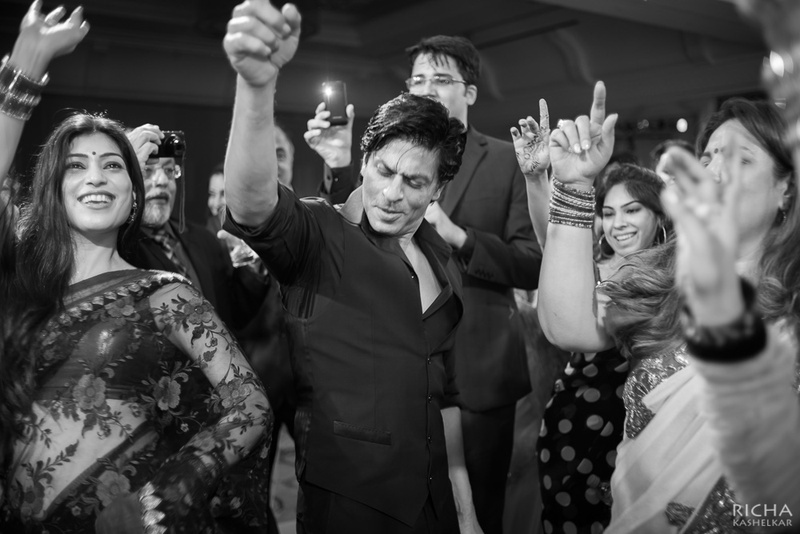 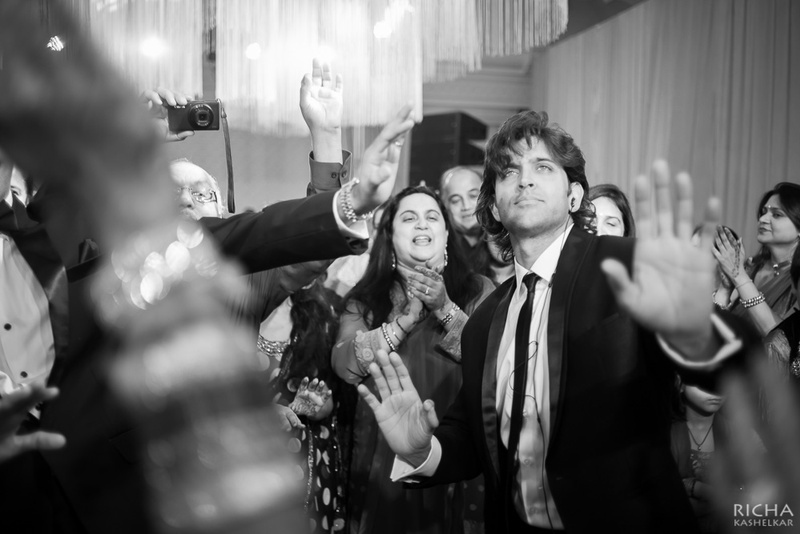 Their wedding was truly star studded as famous personalites like Shahrukh Khan and Hrithik Roshan came to congratulate and dance with this beautiful couple. 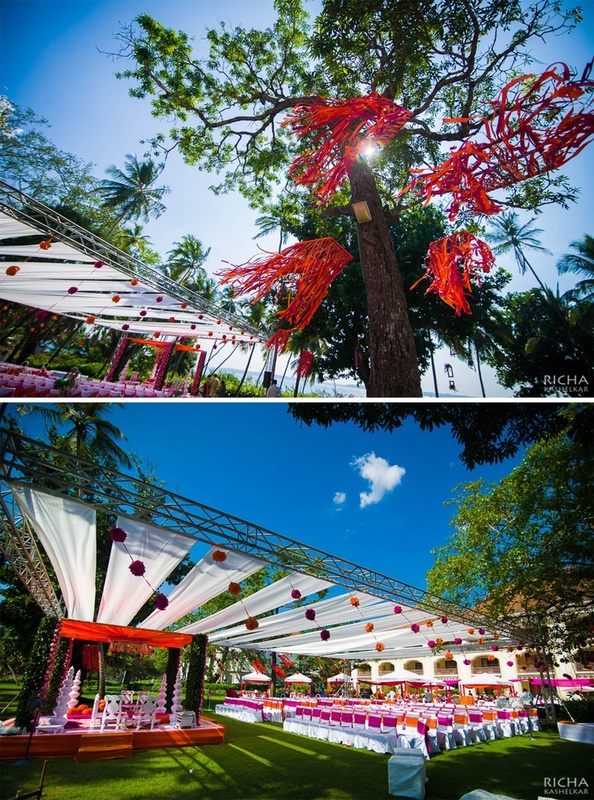 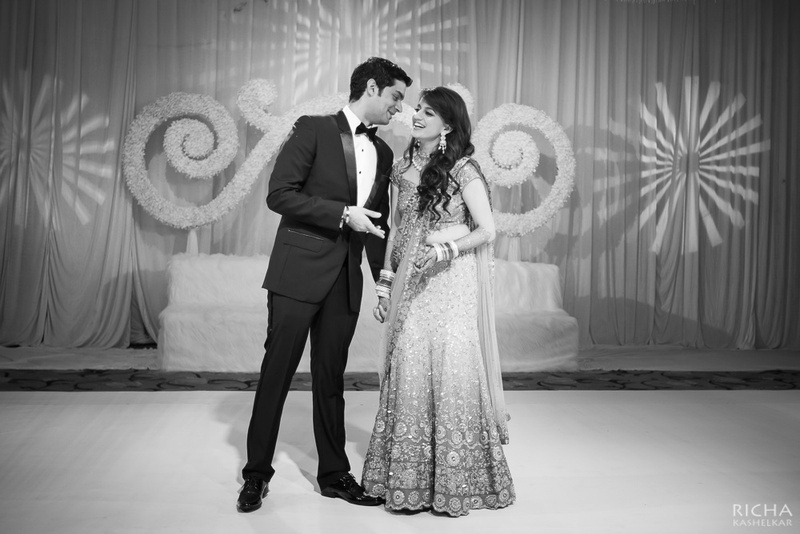 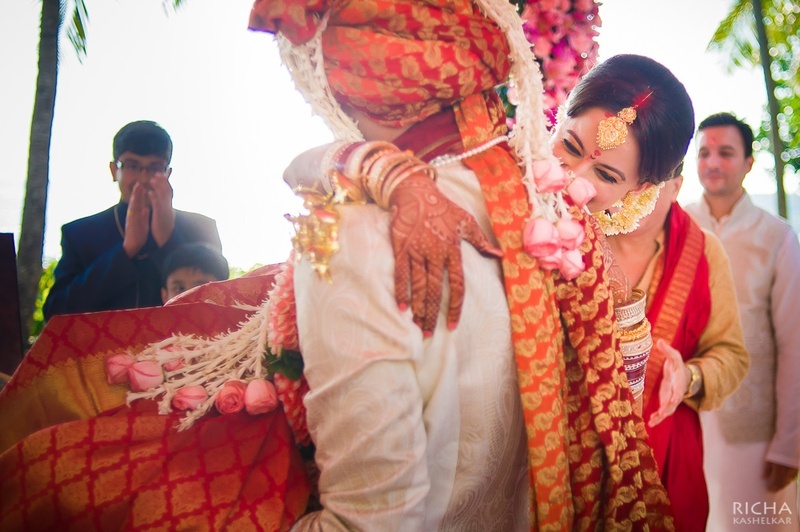 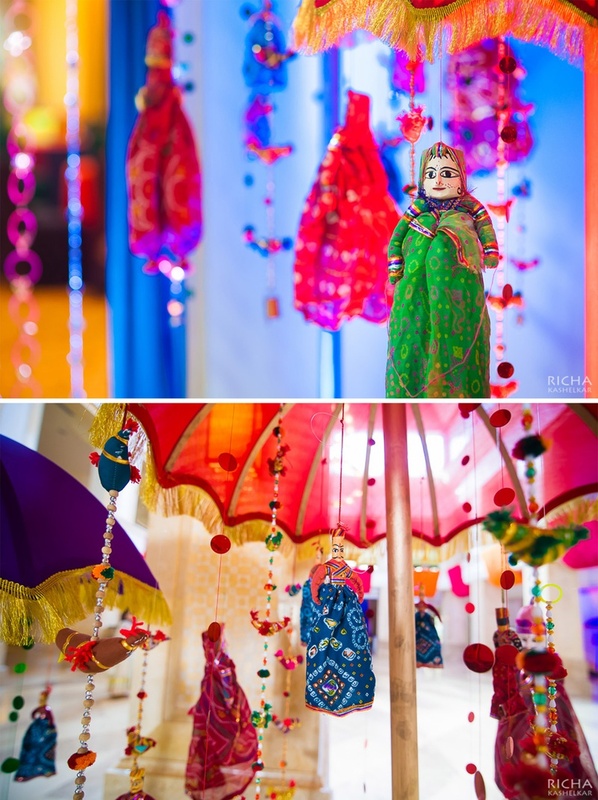 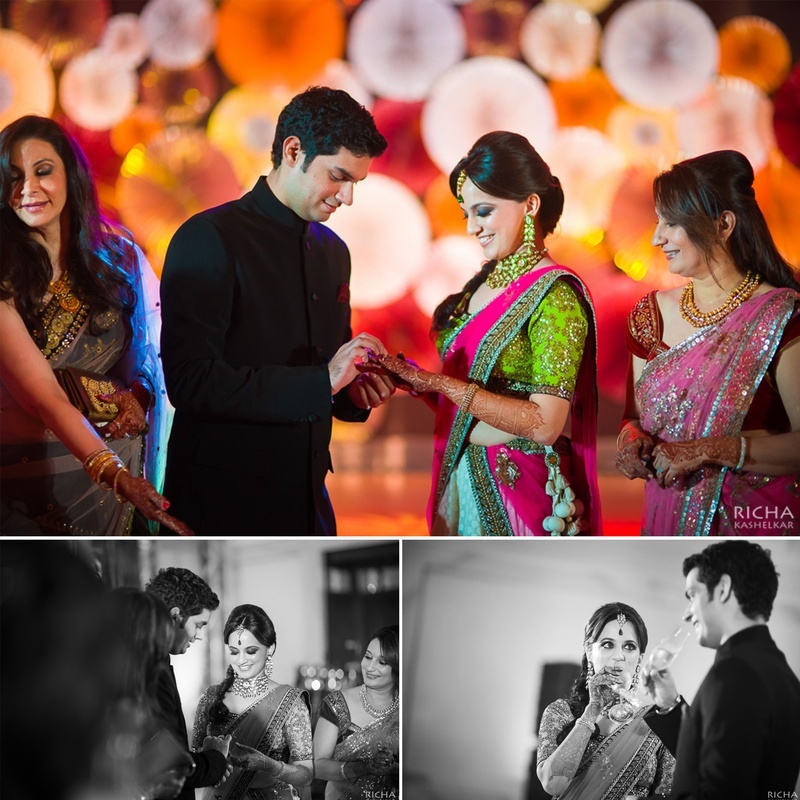 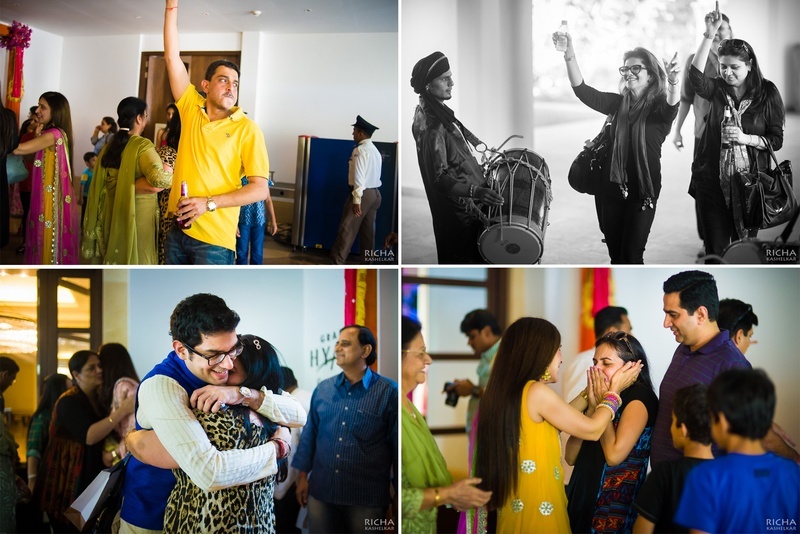 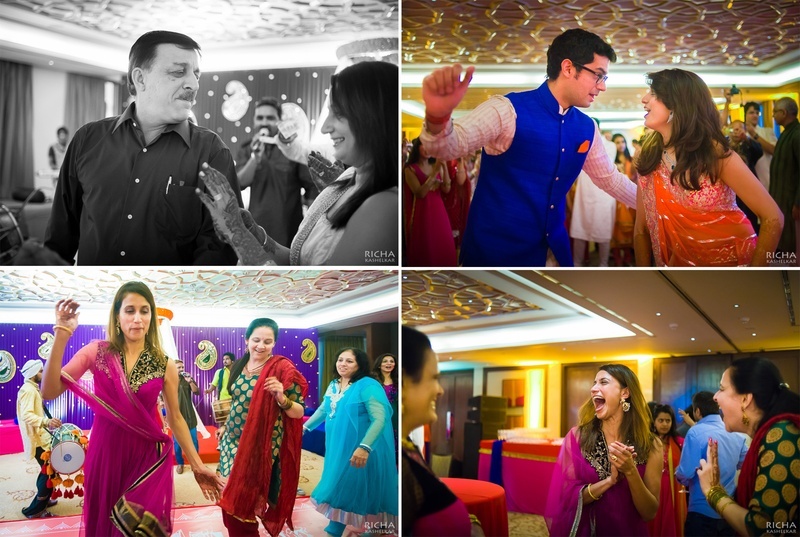 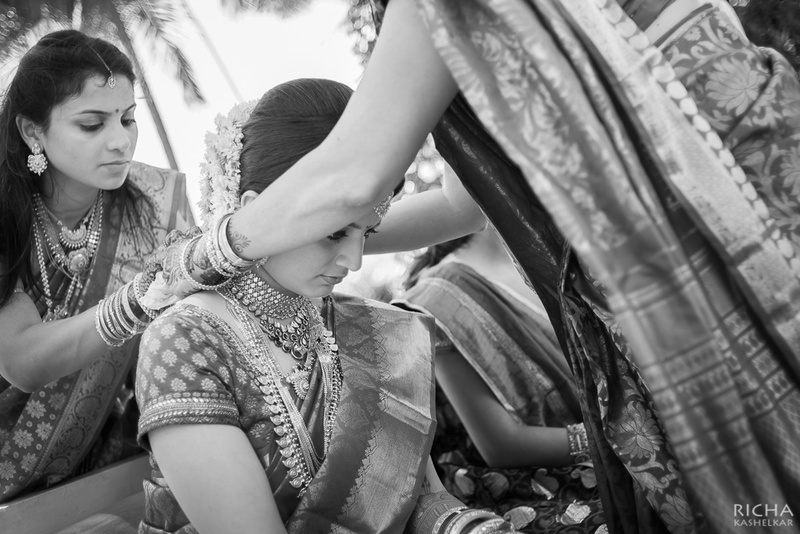 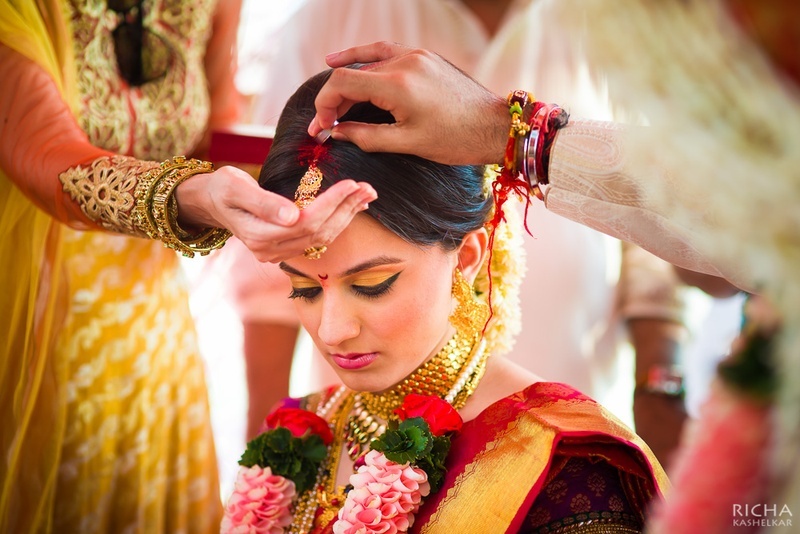 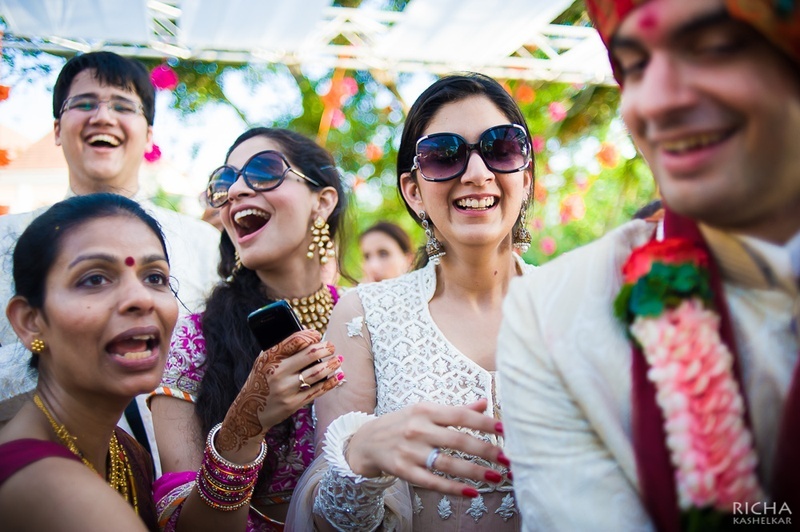 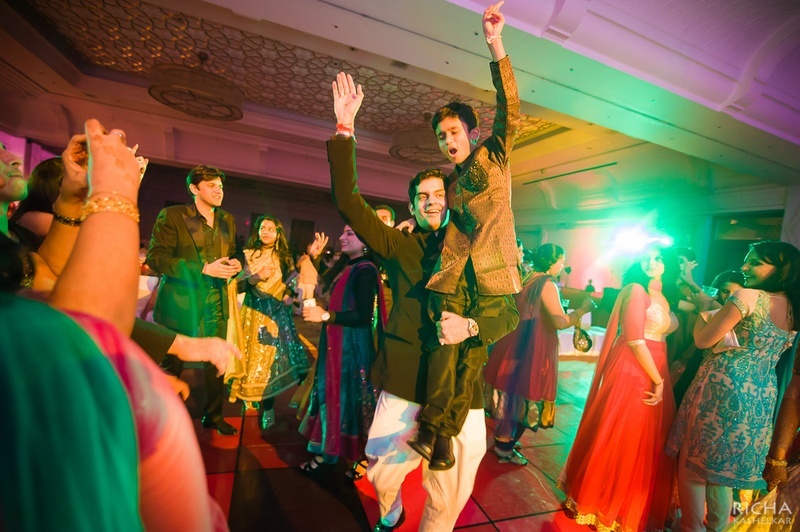 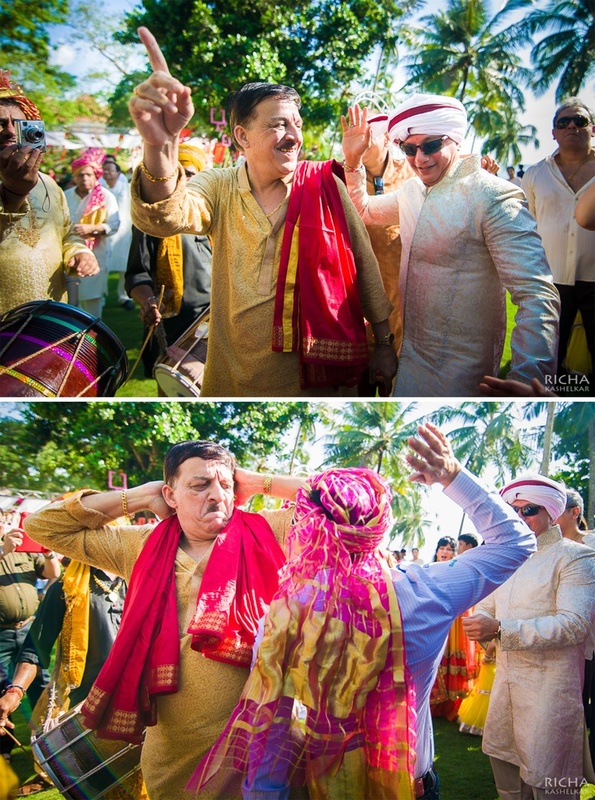 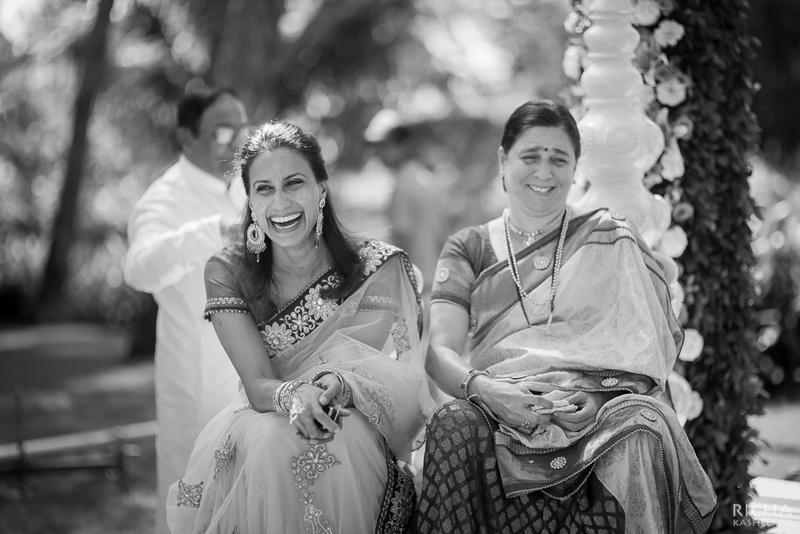 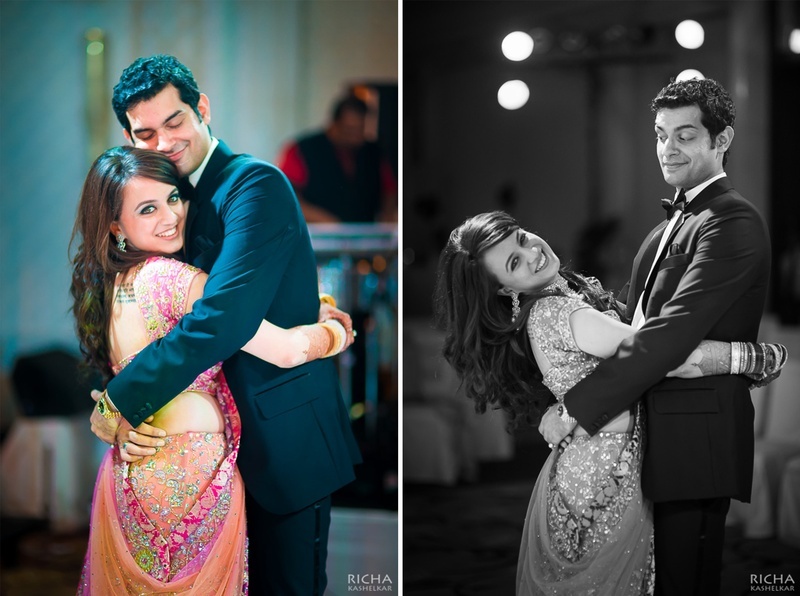 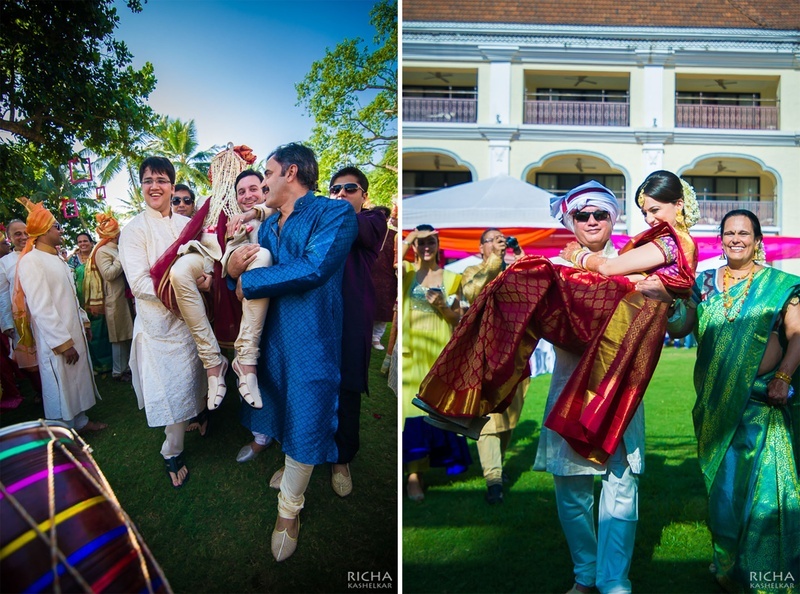 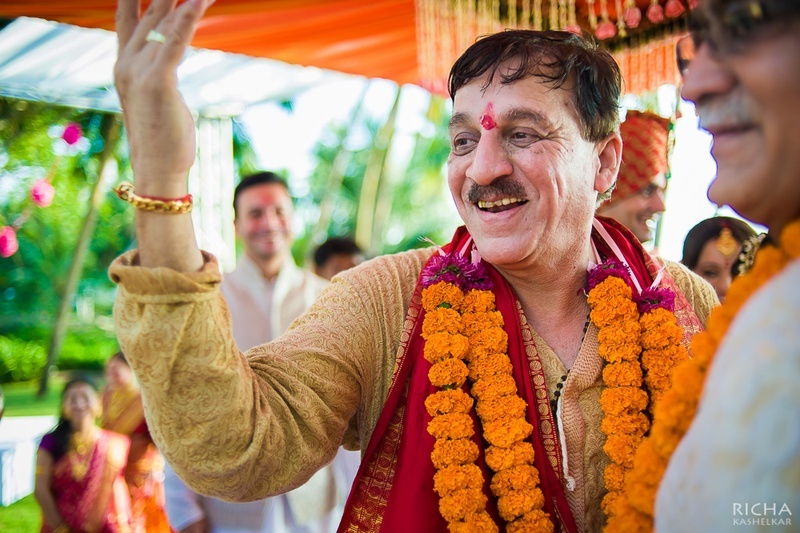 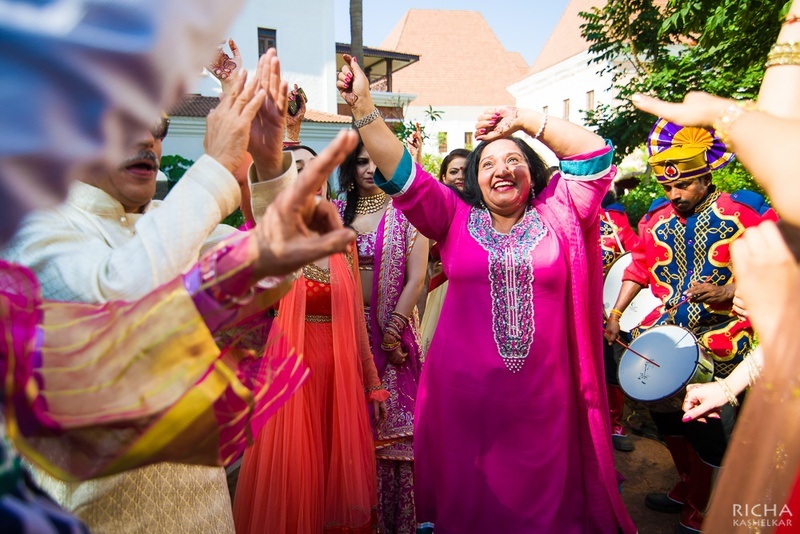 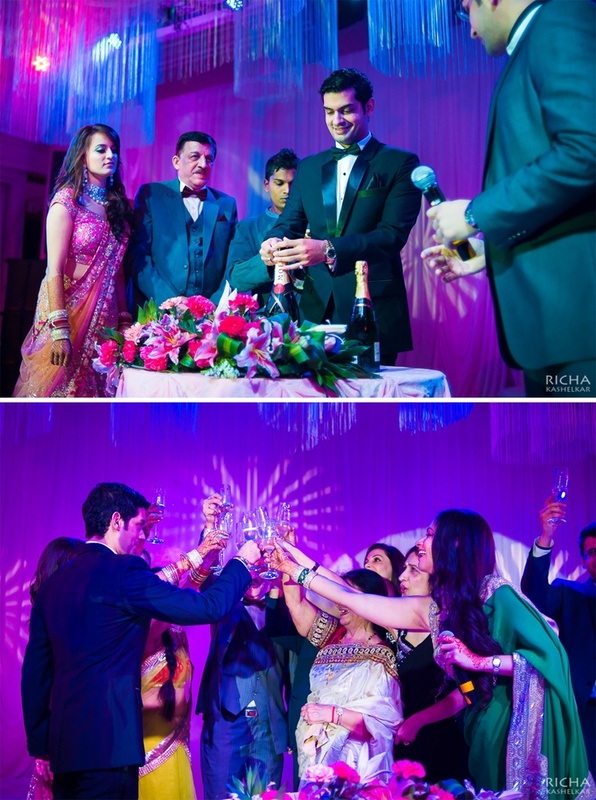 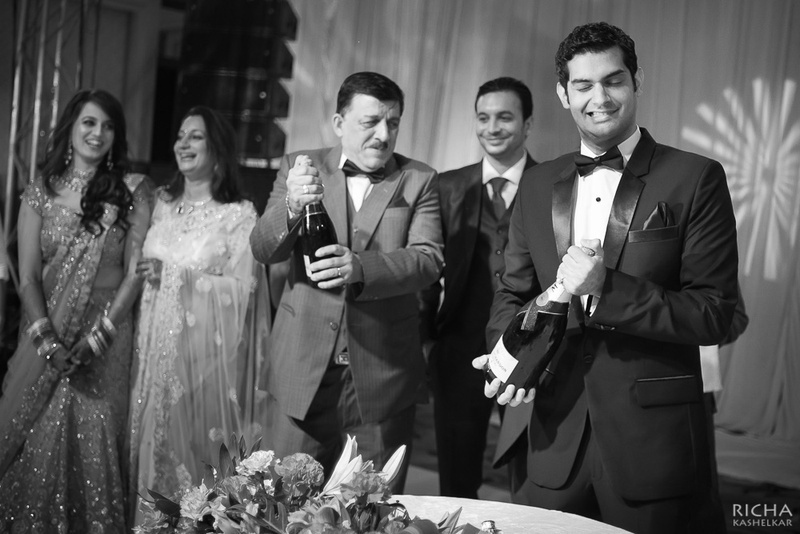 Richa Kashelkar Photography captured all the little moments from Sonia and Karan’s union with utmost precision – the photos had us wishing we were a part of this wonderful celebration too.